I was right up there! Ugh! We’ve all been there. You get a solid start and are steadily moving up, then bam! the ‘cross gods foist one of their myriad curses upon you. Fun Fact gleaned from https://t.co/5GlDNGOWQn "research": In 213 races recorded there, @kaitiekeough has never DNFed. 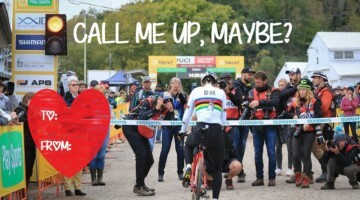 Maybe it’s a rolled tubular because you got lazy with your gluing; or maybe mud got clogged in your derailleur, rendering it patently f’ed; or maybe you tried to be a Cat 3 hero and yardsaled attempting to hop a barrier. 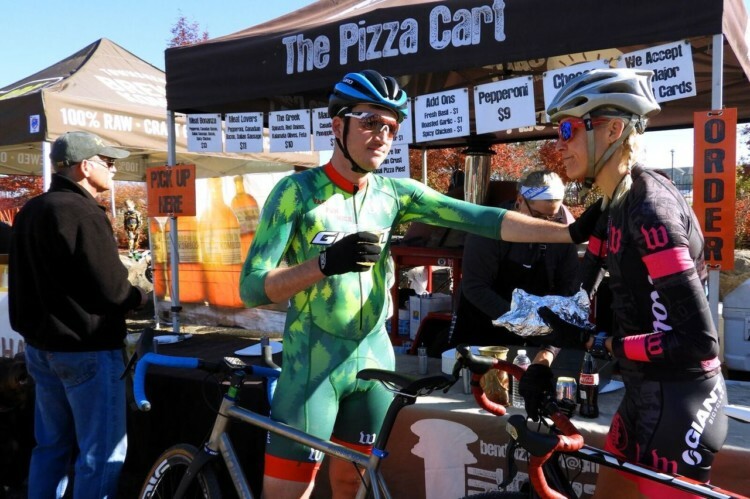 No matter the cause, not only did you drop $25 to race, but you’re also facing a credit-busting trip to the local bike shop on Monday as well. It’s an awful feeling, exacerbated in its awfulness because you were killing it. 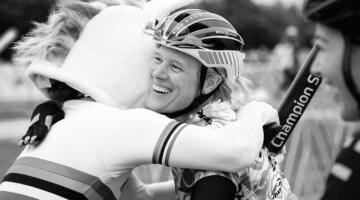 Your DNF will glare at you in results, hurt your crossresults.com ranking and potentially cost you a call-up. So now that you are DFL with little hope of making it back to a respectable finish, what do you do? I’ve had multiple opportunities to consider this situation and have come up with my patented easy-to-follow advice for making the most of these sad days in the park when the good results and podium pictures everyone “likes” on Facebook just are not going to be there. 1. Go directly to #carbtown. I know you pre-fueled and didn’t burn those calories, so you might want to wallow in self-loathing restriction, but you should actually do the polar opposite. It might seem heathenish, if not obvious, but you should immediately start drinking if you have someone to drive you home. If you don’t drink or don’t have a driver, then drown your tears at the pommes frites truck. Just dive into those fries and add extra sinister sauce. Go to #carbtown and don’t look back. If you choose to finish out the race in DFL ignominy, strongly consider becoming the hand-up hero by taking as many hand-ups as humanly possible. Everyone loves the person who stops to take that ramen hand-up. Do it. In front of as many people as possible. 2. Make zero racing decisions. Don’t go all, like, I’m not gonna race next weekend now, or anything. Don’t go all, like, I should never run these tires, or race this category, or spend money on races. You’re not allowed to make any judgments, decisions, or plans whatsoever. Moratorium on all the above for at least the rest of the day, okay? You might feel too bitter to adopt a shiny facade, so I say “fahgettaboudit.” Resolve to be the Grinch and don’t worry about your positive persona or congratulating others. In fact, maybe it’s time to heckle your friends with an extra hint of snark. Here’s an idea: try heckling someone who normally doesn’t get heckled. The race announcer, the officials, the other people doing the heckling. Hopefully they will appreciate the good-natured attention. 4. But don’t go hide in your van. 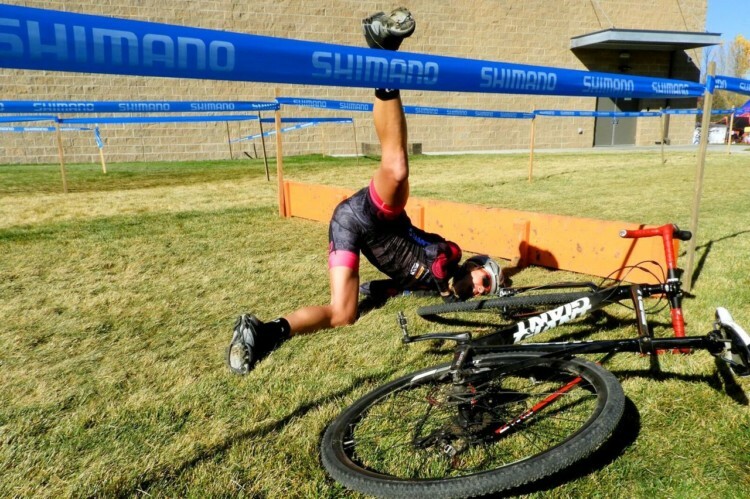 That would be considered taking your ball—or in this case, rolled tubular—and going home. We don’t want you going to the Dark Side, so don’t leave humanity quite yet. 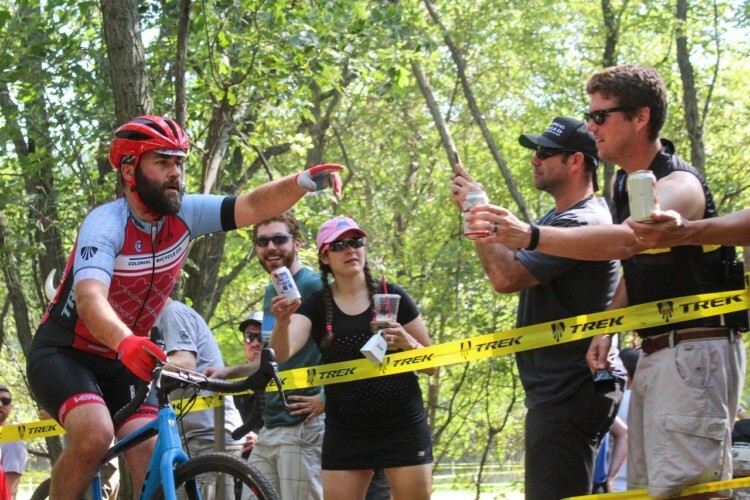 In addition to heckling, you might actually want to redeem your integrity by helping take down the team tents, pitting for another race or befriending an official. A little #karma can never hurt for the next week. You are not allowed to think about how well you were doing. It would be futile. You essentially have to distract yourself from the moment you step off the course until bedtime. After heckling your friends in the remaining races and helping your team break down tents, consider go-kart racing, bowling, a movie, tacos and fútbol, trivia night or maybe Netflix. 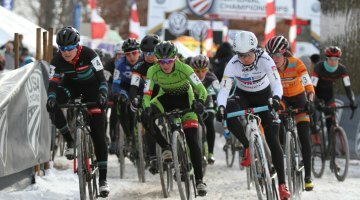 Even when you’re in bed, you should probably have a distraction at hand such as the Sunday crossword, a Dostoyevsky novel or duh, a Cyclocross Magazine Friday Fun column. 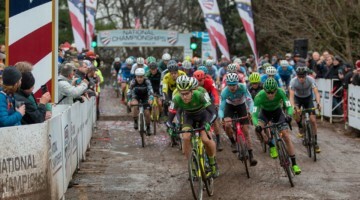 ’Cross races aren’t spendy and there is a veritable cornucopia of race opportunities per season. As a triathlete, I’d like to toss some potentially annoying perspective: triathletes sometimes have to register a full year in advance for an Ironman and spend $800-$1000 per race. Your bad day at the races should not set you back that much, I guess unless you crushed your carbon rim trying to hop that log. Whether it be that day, Sunday or the next week, get back out there! Who knows, maybe there’s another race for you to jump in. 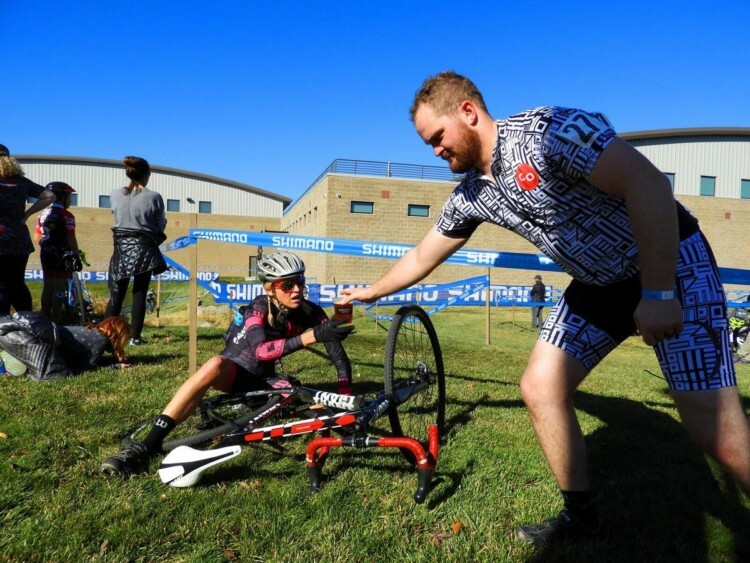 Borrow a wheel from neutral support, zip-tie your shifters and do the singlespeed race or sweet talk your teammate into letting you borrow their bike, even though you just totally wrecked yours. 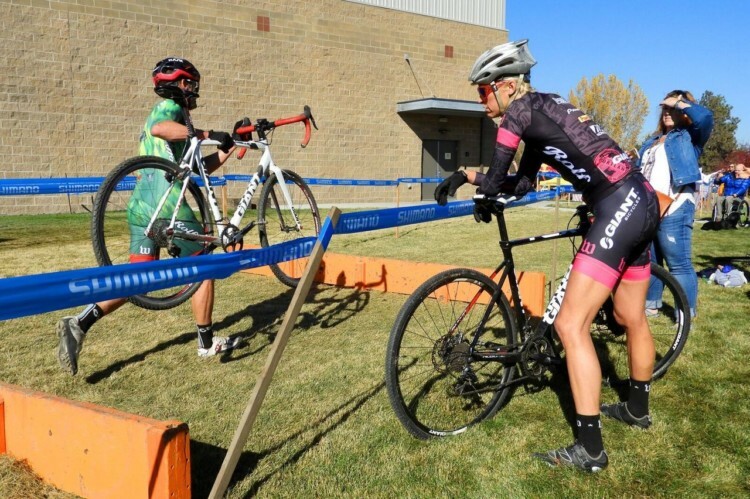 Cyclocross is meant to be fun and one DNF is not the end of the world. 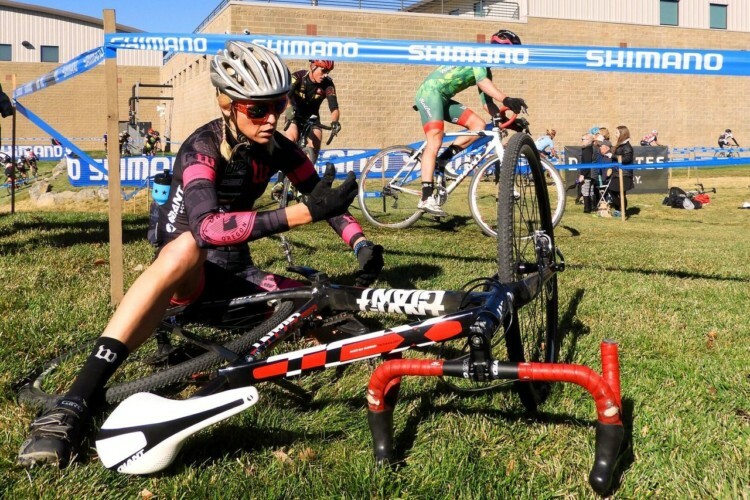 Even Mathieu van der Poel suffers mechanicals. What, you say, he still finishes second? Squirrel! Regardless, this advice has never failed me. I hope it provides some help navigating for those rough DNF days. As for me, I have to get back to re-gluing that tubular.